The flowers are blooming, the grass is greening, and if you’re like my husband your allergies are flaring. Ahhh, Spring is in full swing! And according to Al Roker this morning, for most of us summer has arrived, too. As you settle into your Spring and Summer routines, I invite you to stop by and smell the roses (err e-learnings) that have recently popped up around the SweetRush office. 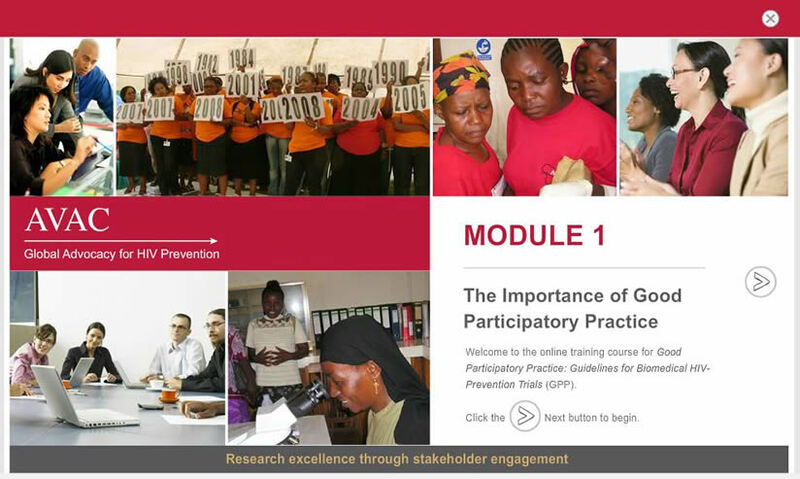 SweetRush is partnering with AVAC and the San Francisco Department of Public Health to develop a five-course blended learning program training researchers on Good Participatory Practice guidelines for engaging stakeholders in biomedical HIV-prevention trials. This series of courses is a prime example of not only a great blended solution, but also of the “bang for your budget” approach that we here at SweetRush are particularly fond of. How’s that for doing Good Things?